The upcoming AGROPRODMASCH offers solutions for high efficiency in all stages of the Russian food production from agricultural raw materials to the end product. At our booth in Pav. 2 hall 1 No. 21B30 we show our freezing systems arctic. for the industrial cooling and freezing. The arctic. 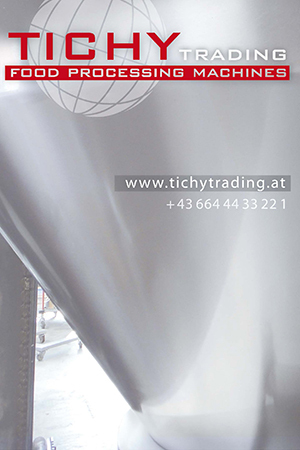 is a universal and flexible spiral system for conveying, cooling and freezing of meat, fish, poultry, bakery goods and other food products. The system offers for medium to large capacities, especially due to the wide range of standardised additional equipment for each product the optimal and individual solution. 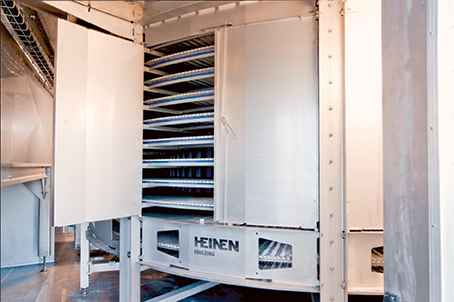 For start-up food producers or small productions we offer the compact. system. Assembled from premounted modules, in short time installed on site as single drum or double drum, as upwards or downwards conveying system in belt widths from 660 mm to 1422 mm. 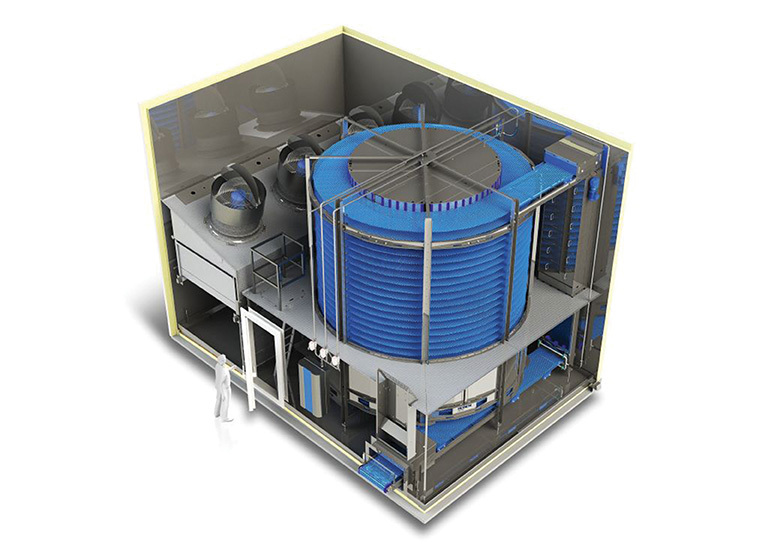 Depending on the product the arctic is equipped with 12 to 36 tiers for capacities from 500 kg/h to 5.000 kg/h. The central drive underneath the drum with no chains or any other open greasing points. Air flow is depending on the process and product. For production times of 144 h without interruption the sequential defrost phase is one further successful features of the arctic. energySAV.® – The upgrade for reduced energy consumption and operating costs. condiMOT® – Automated condition monitoring for the entire system. Hygienic cabling – An option for improving general hygiene and cleanliness around the plant. 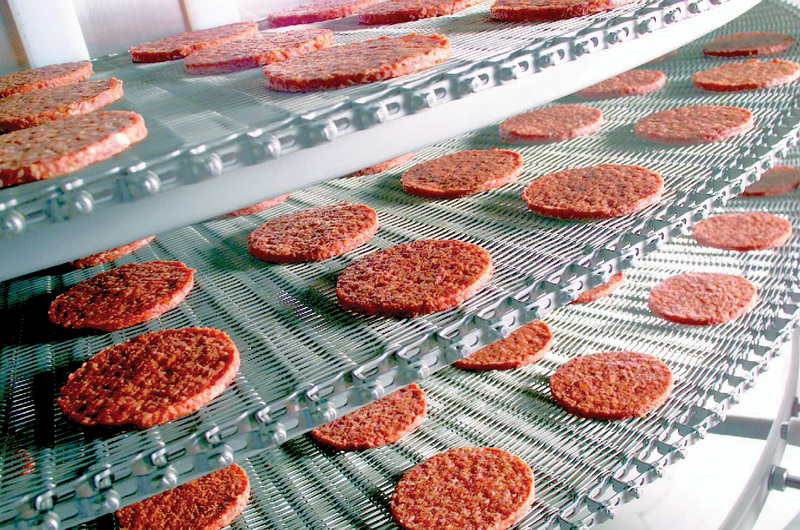 Combined with the fully welded insulated housing, which is placed on the flat floor of the building, as well as a base frame or concrete foundations, we offer the highest possible hygiene standards for food production. Using these elements the main energy consumption can be controlled upon request. The control depends on the actual heat load inside the system. All energy saving measures require a higher investment in technique and technology, but they do pay back depending on the daily operation time in very short time mostly. For instance: hygienic cabling and fully welded insulating housing. Hygienic cabling means that all cables from the consumer are routed out of the insulated housing via the shortest possible route. Outside the housing the cables are routed using the “single cable layering” process.